The Aquastorm 60 in-line cleaning systen is ideal for PCB, semiconductor, and industrial cleaning type applications, in which the manufacturing volume has outgrown the capability of a batch type cleaner and/or lack the floor space requirements of a typical in-line cleaner. The Aquastorm 60 in-line cleaning system is ideal for PCB, semiconductor, and industrial cleaning type applications in which the manufacturing volume has outgrown the capability of a batch type cleaner and/or lack the floor space requirements of a typical in-line cleaner. With its compact design and small footprint, the Aquastorm 60 offers high-end performance capabilities as would expect from the Aquastorm brand name. For both straight DI and chemistry based cleaning applications the total length is 9’ 10” (3009 mm). The Aquastorm 60 provides an in-line technology based solution that is capable of removing all flux residues and contaminants from lead and lead-free processes including rosin, no-clean, and water soluble type applications. The Aquastorm 60 is also used in surface cleaning, surface preparation, parts cleaning, and high reliability industrial cleaning environments. 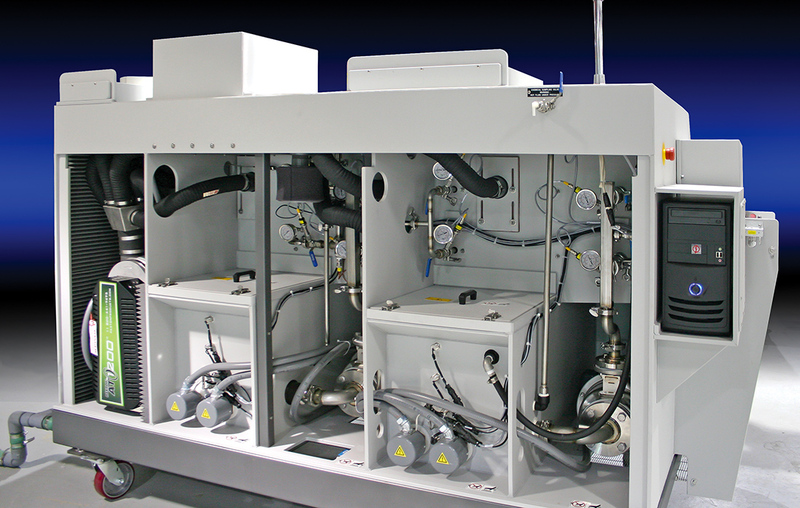 A full set of features and options are available to maximize cleaning performance and process flexibility. Design, construction, and quality are key attributes that contribute to the long history and success of the Aquastorm series cleaning systems. Combined with innovative technologies and performance, the Aquastorm continues to be the industry leader and set’s the benchmark for all other cleaners in the market. The Aquastorm 60 is available in our textured scratch resistance polypropylene. A standard feature includes our quick connect seamless stainless steel plumbing in all wet sections and a stainless steel drain line. The Aquastorm is configured with a Windows® based operating system that provides familiar pull-down menus, includes data logging, and has barcode capability. The system is easily networked for down-loading of recipes and remote access to operating data. 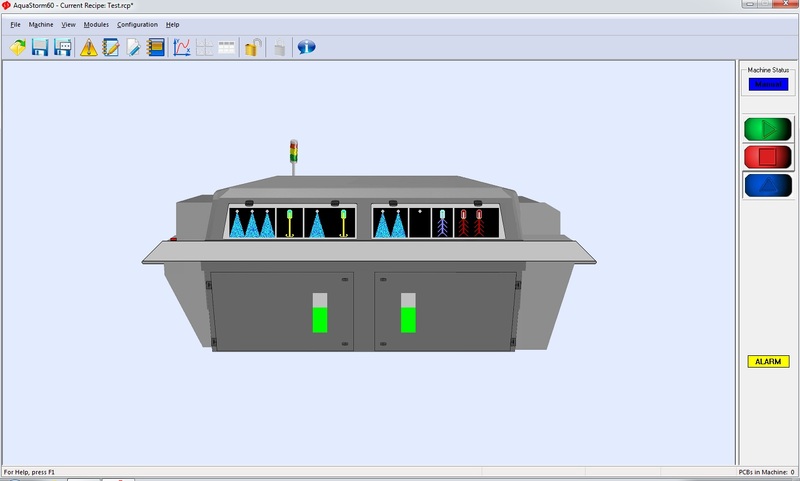 Important cleaning parameters such as flows, pressures, and temperatures are easily displayed on the GUI to optimize the machine and process controls. The employees of Electrovert are dedicated to providing world class service and support to our global partners. With facilities in the USA, Mexico, Europe, Asia and an extensive network of service, applications, and process engineers, Electrovert is positioned to support our customer’s requirements. 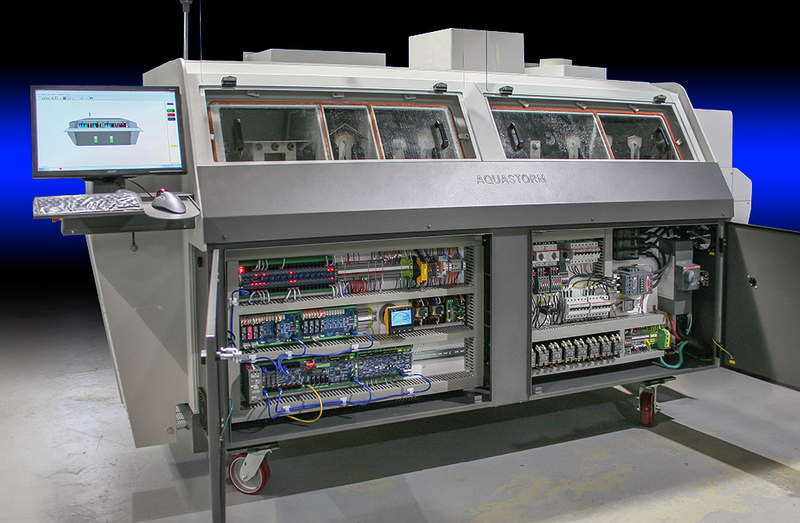 All Electrovert cleaning, wave and reflow equipment are designed and built in Camdenton, Missouri USA.